Do you want to have more control on your Samsung Galaxy S8? If so, you should probably root your Galaxy S8 phone. Coming from the Korean giant, the S8 is already an unbeatable device in its segment, but rooting it will give you the endless opportunities to modify the smartphone. 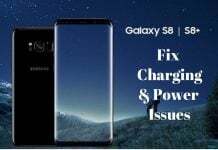 In last few days, we have been receiving several queries on how to root Galaxy S8/ Galaxy S8 Plus and install TWRP custom recovery. Well, here we are with our step-by-step guide. 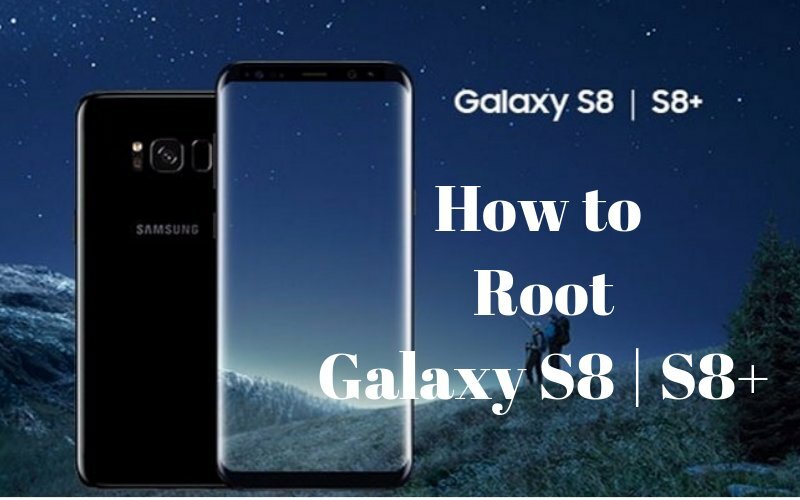 Keep reading the tutorial to root Samsung Galaxy S8 / S8 Plus safely as well as quickly. By the end of this guide, you will be able to install TWRP on you Galaxy S8. Before you root your Galaxy S8, we recommend you perform a complete backup of your smartphone. Also, ensure that you phone’s battery is fully charged. If you have memories locked in pictures, you might want to transfer your photos from Android to PC. It may be noted that this guide is about rooting Exynos variants of Galaxy S8 and S8 Plus. It won’t work with Snapdragon version. We will soon write a separate tutorial on how to root Galaxy S8 Snapdragon variant. 1 Which Galaxy S8 Version Can You Root? Which Galaxy S8 Version Can You Root? With this rooting guide, you can root following Samsung Galaxy S8 models. If you own any of the supported Galaxy S8 version, proceed for rooting process below. If you have completed all the steps recommended above, follow the step-by-step guide below to install TWRP recovery on your Galaxy S8 smartphone. To install TWRP custom recovery on Galaxy S8, you will be required to connect the smartphone with PC. 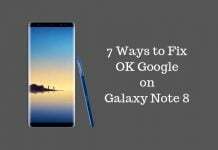 Hence, it is recommended that you download and install the Galaxy S8 USB drivers on your computer. In process to root Galaxy S8, you need to download TWRP rooting files. If you are an S8 user, click here [unavailable now], and if you are Galaxy S8+ user, click here [unavailable now]. You will also need to download Odin 3.12.3. Go to Settings -> About Phone -> Software info, and tap on “Build number” several times until you get a message saying: “You are now a developer.” From now on, you are going to see “developers options” menu under the Settings menu. Go back to Settings, and find “Developer options“. Tap on it, and find OEM unlocking and USB debugging. Make sure both of them are enabled. You should have already downloaded the Odin software by now as instructed in the Step 2 above. Now you need to install Odin on your PC. Once installation is finished, run the software. In this step, first you need to turn off your Galaxy S8 / S8 Plus smartphone. When it turns off, press Bixby + Volume down and then press the power button. It will make it boot to download mode. In order to start rooting Galaxy S8 or S8+, connect your smartphone to PC using the USB cable. If everything is done step-by-step as instructed, and Odin is running, you should see “Added!” message in Odin application. Click on AP or PDA button, and select the downloaded TWRP .tar file that you downloaded in Step 2. Ensure that Auto Reboot and F. Reset Time are selected. If everything is alright, click on Start to install TWRP on Galaxy S8. When it is done, you will get a “Pass” message. Your device should automatically reboot and install the TWRP custom recovery. After that, you will see your home screen, that means TWRP is now installed on your Galaxy S8/S8+. Unplug your smartphone from PC. Now that you have installed TWRP on Galaxy S8 or S8+, it is time to proceed for root. Check out the below steps to root your Galaxy S8/S8+. Download Magisk Zip file from here directly on your smartphone. Switch off the smartphone, and then reboot Galaxy S8/S8+ into TWRP recovery by holding Power button + Volume down. The phone will boot into TWRP recovery now. Once you are there, click on “Install” option and then locate the folder /twres/flashables/ where you will see the Magisk Zip file which you downloaded earlier. Tap on it to start flashing and then Reboot your device. Now power on your smartphone and download and install Magisk Manager from APK Mirror. Once installed, open the app and you will see MAGISKSU (topjohnwu) with a green check mark. Congrats, you are now using a rooted Galaxy S8 / S8+ smartphone. We will soon add the best tips and tricks for rooted Galaxy S8 and Galaxy S8 Plus smartphones. Disclaimer: Rooting your smartphone is not a safe operation, and something could go wrong. There is a chance that your smartphone is not going to work normally after root. MobiPicker team is not responsible for any damages that could happen because of your actions to root Samsung Galaxy S8 or S8 Plus. Let us know your experience in rooting your smartphone. Was it easy to root your Galaxy S8/ S8+ with our guide? If you faced any issues or if you think we missed something, comment below.